We’re delighted to announce that our portfolio has now expanded to the southern hemisphere with the addition of Clare Valley, Australia’s Jim Barry Wines. The Jim Barry Winery was founded in 1959 and is widely credited with helping to shape the Australia’s famed Clare Valley as a benchmark producer of world class Riesling. Their most illustrious wine, The Armagh Shiraz, from a single vineyard planted by Jim Barry in 1968, is one of the undisputed icons of Australian wine. Today the winery and its vineyards are owned and managed by Jim’s son, Peter Barry, along with his wife, Sue Barry, and their three children – Tom, Sam and Olivia – who are winemaker, commercial manager and brand ambassador respectively. Over 55 years the Barrys have worked to establish a mosaic of vineyards across Clare Valley, each unique in site, soil and aspect. 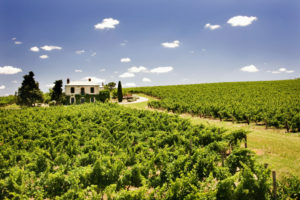 They also have two vineyards in the Coonawarra region where they grow Cabernet Sauvignon on the famous Terra Rossa soils. They firmly believe that great wine is made in the vineyard and their winemaking philosophy is to own and farm the vineyards themselves, in order to develop the best fruit flavors possible. The Jim Barry winemaking style aims to retain those ideal fruit flavors, emphasizing freshness, character and drinkability over massive power and heaviness. For more info and a complete list of their wines available in our portfolio, please see our Jim Barry producer page.